Here’s an mp3 using the new #5 build, a kalimba and a synth/sampler. The guitar is run direct into a mic preamp with no EQ, but a little compression. I had a ton of trouble getting the pickups to work well! I really didn’t want to drill holes in the beautiful thuya burl pickup covers, but no matter what I tried I couldn’t get the pickups to sound good without getting the strings closer to the magnetic field. 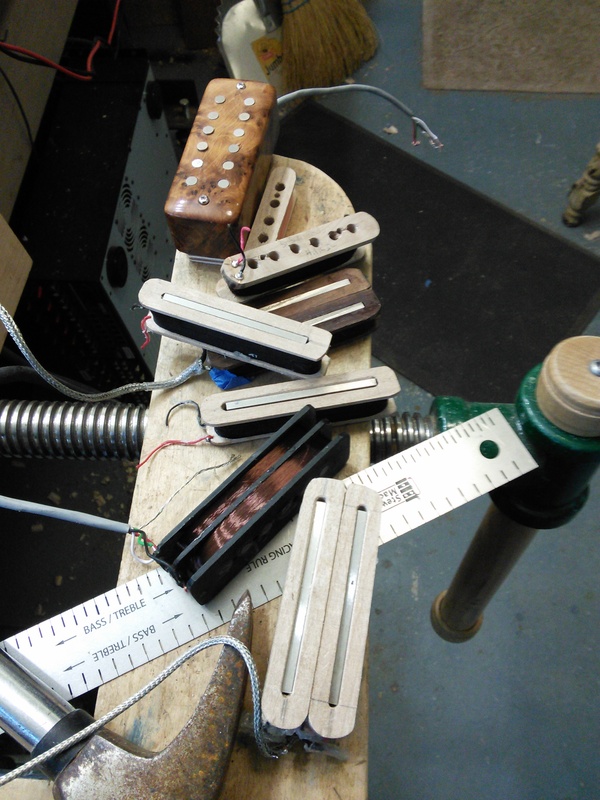 I finally ended up drilling holes for 12 alnico magnets in each pickup. 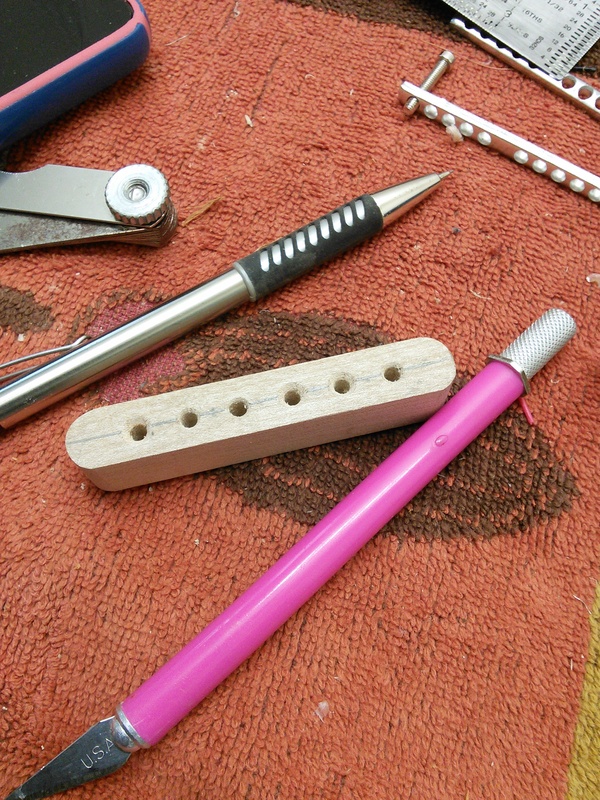 I made bobbins from maple and used alnico 2 magnets in the bridge and alnico 5’s at the neck. 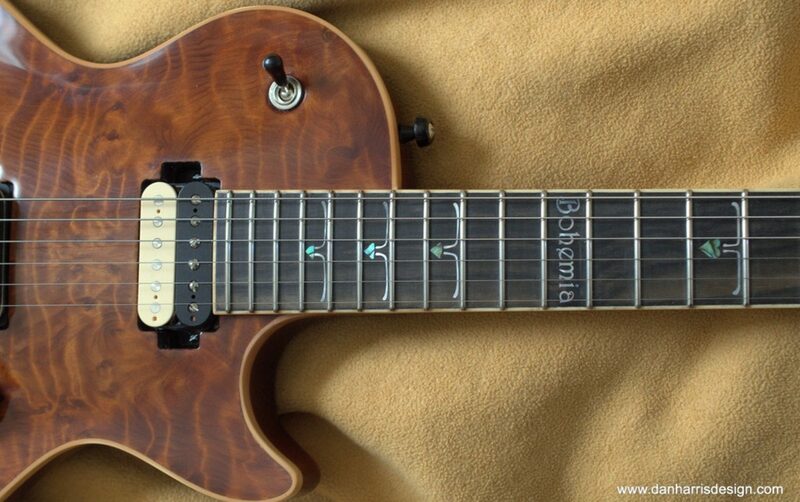 The neck pickup has 2x 5000 windings and the bridge has 2x 5500. Strangely, even though I have 10,000+ winds on each pickup, I’m getting a sound very much like a Strat from these pickups. 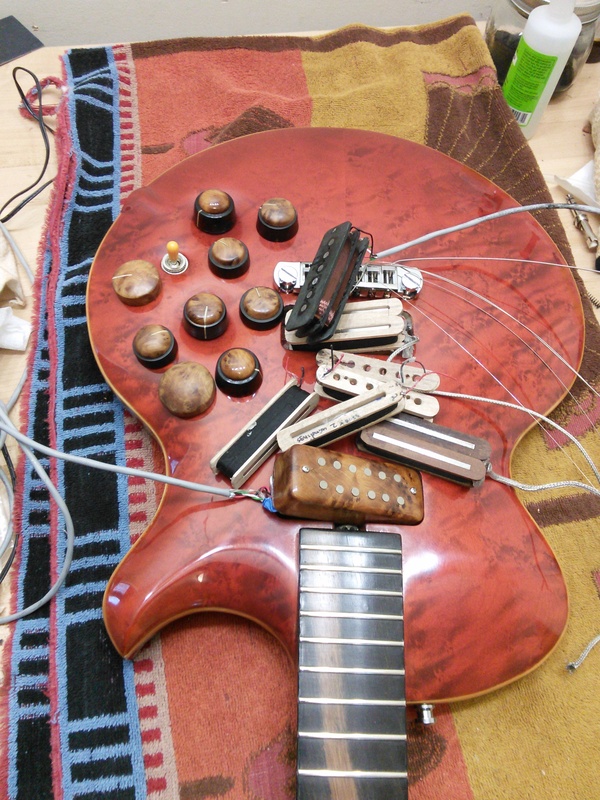 lots of failed knobs to go with the failed pickups.